Since its establishment in 2002, Ningbo Yunding has been supplying quality fasteners and fixing systems to customers in the US, Europe, Japan and Australia. 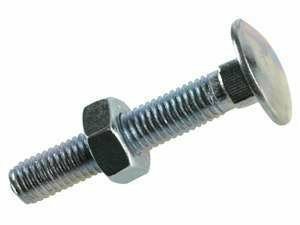 We offer fasteners in all shapes and sizes, and in many materials including steel, stainless steel and nylon. When you source from us, you're sure to find aÂ product that meets your needs. To assure you of market-leading product quality, we make each approved item using the finest materials from Europe, and the latest machines from Switzerland and Italy. Plus, we carry out strict in-house QC measures at multiple stages in our ISO 9001:2000-certified facilities, storing all results in our central databank. So we can provide you with detailed order-specific reports on tensile strength, torque and zinc plating thickness. As one of the largest fastener manufacturers in China, we can produce over 500 tons monthly. We gladly ship free samples of our products within seven days and can fulfill orders in one to two months. If you have OEM/ODM orders to complete, contact us today. Any questions,i'm here waiting for you. Ningbo Yunding International Enterprise Ltd.